Welcome to Saint Peter Port of the Channel Island of Guernsey. Photo: John M1061. 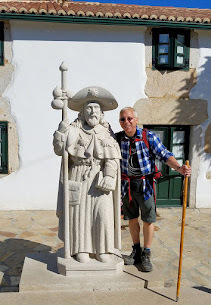 I am thrilled to welcome Zoë Dawes of TheQuirkyTraveller.com to EuroTravelogue to recount her quirky chronicles of her voyage to Guernsey in the Channel Islands. 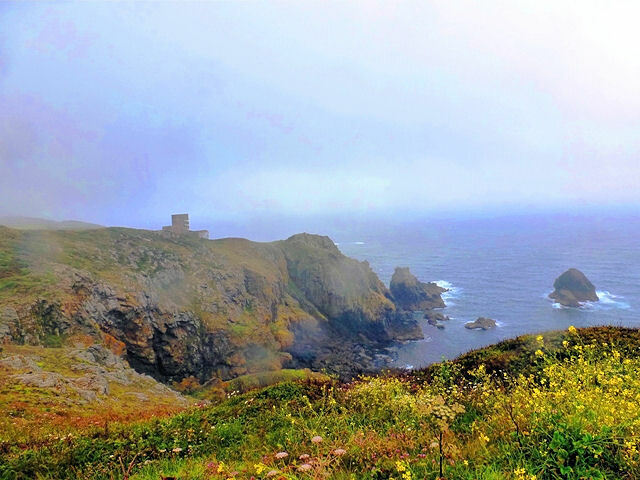 Ever since I first read "The Guernsey Literary and Potato Peel Pie Society"—an all-time favorite of mine—I have been intrigued and fascinated by the Channel Islands especially that of Guernsey because of its leading role in the book. But then I heard about Zoë's what was then her upcoming trip, and I knew that I needed to follow every step of her journey so she could bring it and its people to life for me even more than the book. Her first-hand accounts of the island, small on size, 30 sq. mi. or 70 sq. km., but big on history and charm, are chronicled below. I hope you enjoy your journey through Guernsey as much as I did and be sure to read more about Zoë at the end of the article. Victor Hugo chose it as his exile home and was inspired to write "Les Miserables" here. 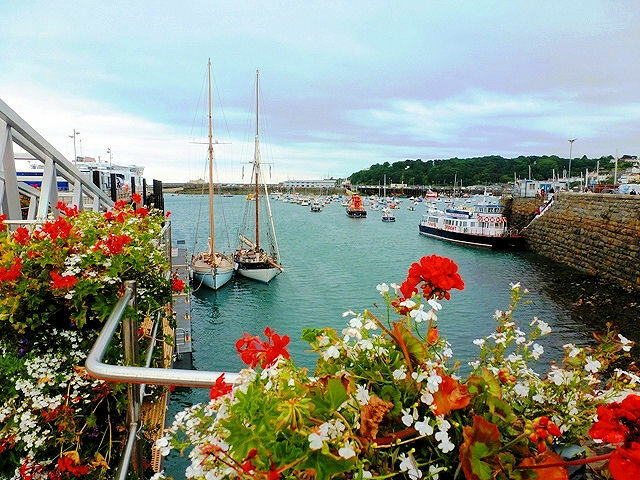 One of the British Channel Islands off Saint Malo in France, gorgeous Guernsey is renowned for its balmy climate, delicious cuisine, delightful scenery and cultural heritage. 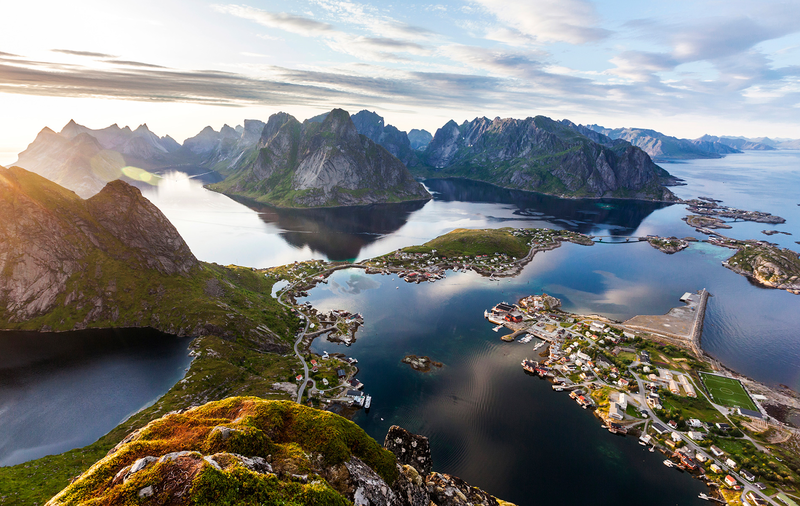 Here's a glimpse of a few of its many attractions. 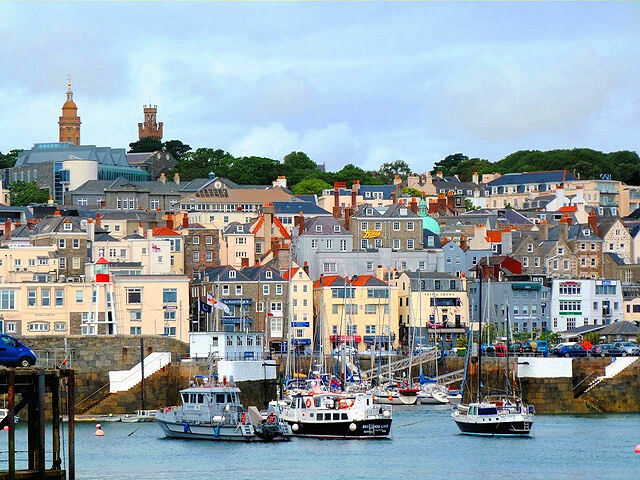 The picturesque seaside village of St. Peter Port in Guernsey, Channel Islands. Photo: Zoë Dawes. Unauthorized use is prohibited. 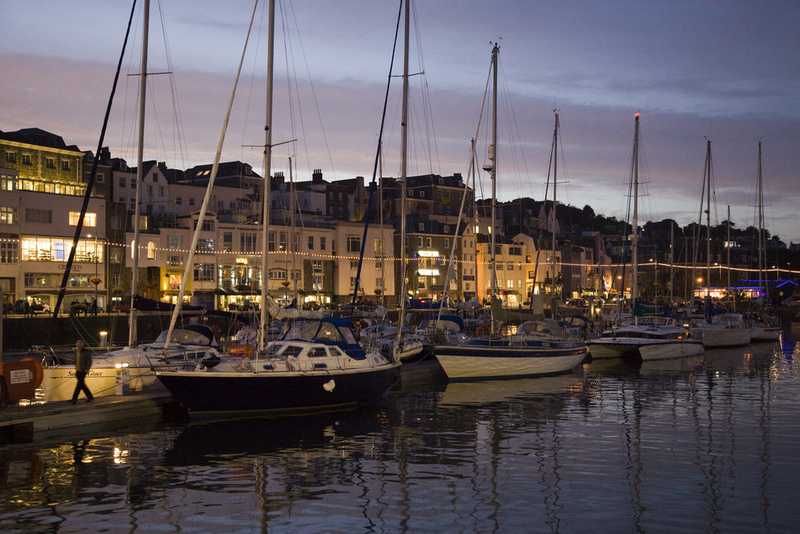 Many visitors stay in the charming capital, Saint Peter Port. It's got a lively working harbour, buzzing with ferries, hydrofoils, fishing boats, luxury yachts and little dinghies. Surveying it all is the medieval Castle Cornet, well worth a look around as it gives an excellent overview of the island's rich history. Be there for the firing of the Midday Gun. Take a guided tour of the Hauteville House, Victor Hugo's home, crammed full of quirky objects and literary memorabilia. 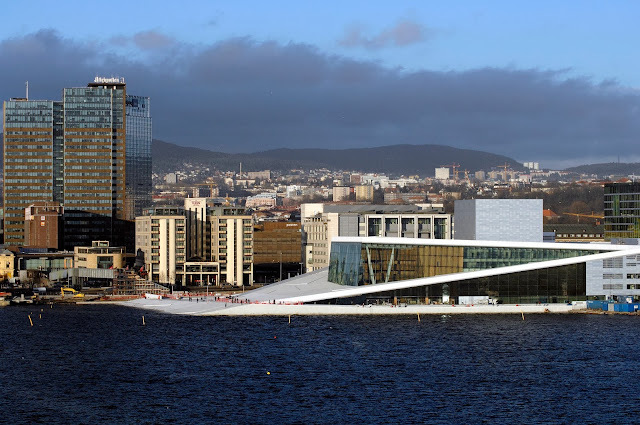 There are plenty of excellent restaurants, bars and shops plus some interesting museums and art galleries. 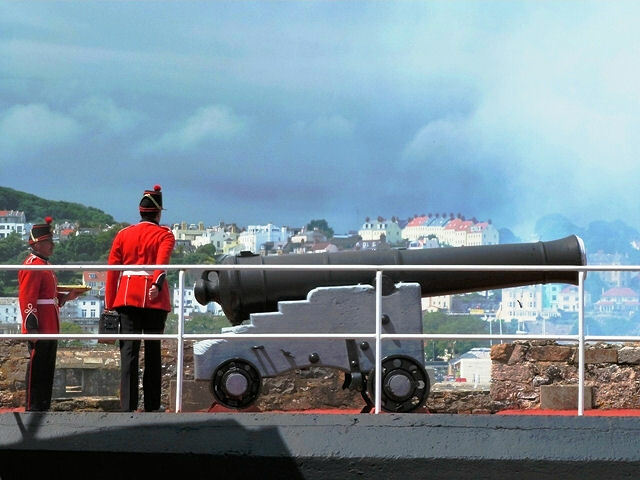 The Midday Gun fires NOON time at the Castle Cornet in Saint Peter Port, Guernsey. Photo: Zoë Dawes. Unauthorized use is prohibited. Take a guided tour of the Hauteville House, Victor Hugo’s home, crammed full of quirky objects and literary memorabilia. Photo: Zoë Dawes. Unauthorized use is prohibited. At Pleinmont Point, Guernsey's troubled times are brought vividly to life by a sinister concrete look-out tower and a huge gun, restored in exactly the same position the German troops had placed it over 70 years ago. Out at sea, the Hanois Lighthouse warns ships of a potentially lethal reef that claimed a number of victims in the past. It was at the Pleinmont Tower at the southwest corner of Guernsey that the Germans controlled the island’s coastal artillery during WWII. Photo: Zoë Dawes. Unauthorized use is prohibited. The Guernsey German Occupation Museum is moving, informative, disturbing and illuminating. It's crammed full of fascinating artifacts from the dark and stressful days of the early 1940s when the Germans took over and life changed in the blink of an eye. Amongst all the signs of fighting and austerity are unusual objects like the horse's gas mask, a make-shift ambulance and homemade makeup and toys. Particularly evocative is a dark street where a policeman keeps an eye on what's going on along its virtually empty shops. Roadside flower stalls brimming with vibrant blooms. Photo: Zoë Dawes. Unauthorized use is prohibited. 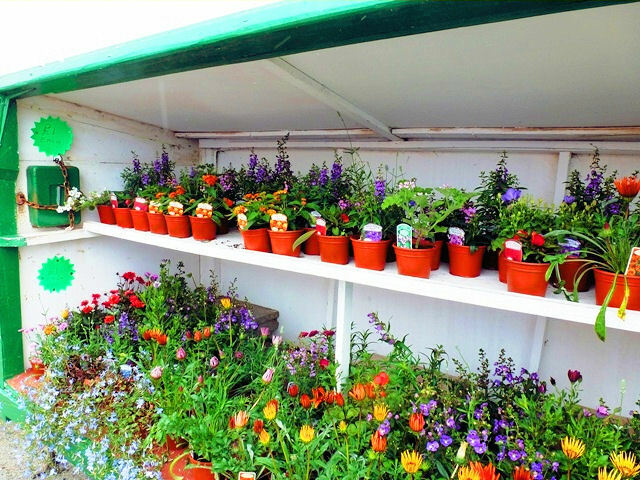 During the summer months, you'll find stalls holding 'Hedge Veg' boxes brimful of fresh fruit, vegetables and bunches of beautiful bunches of flowers. The scent of honeysuckle wafts through through the air along the Ruettes Tranquille – quiet lanes – and wild orchids bloom the in meadows. In the spacious grounds of houses open to the public there are formal displays and the public parks are more adventurous in planting than many on mainland Britain. Picturesque Rocquaine Bay harbors little boats bobbing in the tides beneath the imposing Fort Grey, locally known as the 'The Cup & Saucer'—an intriguing Shipwreck Museum. Photo: Zoë Dawes. Unauthorized use is prohibited. There a plenty of beaches to go crabbing or have a swim and idyllic coves for a picnic. Rocquaine Bay is as pretty as a picture with little boats bobbing about beside Fort Grey aka 'The Cup & Saucer,' the intriguing Shipwreck Museum. Twice a day, the tide covers the centuries-old causeway out to Lihou island, where a ruined Benedictine Priory gives shelter to thousands of migrant sea birds. Further on there's weird Fort Saumarez, an 18th-century Martello Tower on top of which the Germans built a four-floor Observation Post. Hardy surfers head to Vazon Bay where the wind-whipped waves create ideal conditions to show off surfing prowess. Cobo Bay has great swathes of sand to run around on as windsurfers zip across the foam-flecked sea. Call into the Tearoom for cuppa and quite possibly the best crab sandwich in the world. L'Ancresse Bay is said to have the best beach and there are plenty of watersports for all the family. The big towers behind the beach were built in the late 1700s, said to be the forerunners of the Martello Tower, devised in Corsica soon after. Keep an eye out for the golden brown Guernsey cows grazing on the Common. They provide the rich milk to make the island's smoothly indulgent butter and luscious cream. Take a stroll along the beach at Cabo Bay. Photo: Zoë Dawes. Unauthorized use is prohibited. Take home a Guernsey Jumper. Traditionally knitted by the fishermen's wives, the rib at the top of the sleeve represents a sailing ship's rope ladder in the rigging, the raised seam across the shoulder a rope, and the garter stitch panel is the waves breaking upon the beach. What better way to remember what Hugo called, "This rock of hospitality and freedom". Zoë writes about her travels in the UK and around the world, searching out places, people and experiences that reflect her love of fascinating culture, food, art and history. Winner of 'Britain’s Best Travel Blogger 2011', her popular blog site "The Quirky Traveller" enables readers to explore this lovely planet from a personal, quirky point of view. Great post, I believe people should acquire a lot from this web blog its rattling user genial . Thank you so much Shah for stopping by and for your kind words!! Glad you enjoyed the post! A great selection of photos. 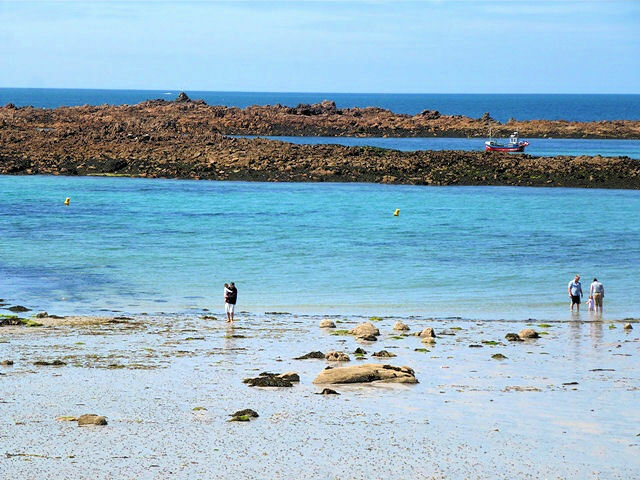 Guernsey looks a fanatstic place to visit. Hi there Miles and thanks so much for stopping by. I too, want to see Guernsey one day and so happy my guest was able to bring it to life for my website guests! Hi there Heather and thank you so much for stopping by! I will certainly indulge in a savory crab sandwich when I eventually make it to Guernsey...my mouth is watering just thinking about it!! Lovely post and pics! I would love to go crabbing on a Guernsey beach and explore what seems to be a floral gardening heaven. Hi there Lesley and thank you so much for stopping by. I was THRILLED when Zoë submitted this...I have wanted to visit Guernsey ever since I finished "The Guernsey Literary and Potato Peel Pie Society" a few years back. Looks positively enchanting as well as very profoundly moving due to the effects of WWII. www.thequirkytraveller.com/2013/08/escape-heavenly-herm-natural-island-paradise Sure you'd love it. Hi there Zoë and thank you SO much for sharing your journey with me!! I couldn't wait to publish this post. Thanks for the tips on Herm too! I am sure I will love it when I eventually make it there some day soon!